LOS ANGELES — Closers. Openers. Setup men. Left-handed one-out guys. Relief pitching seems to have become as specialized as the positions in a Presidential Cabinet. But the Milwaukee Brewers built one of the major leagues’ best bullpens by disregarding specific roles. Jeffress entered the post-season with an 8-1 record, 15 saves and a 1.29 ERA. Yet he is just one point on a three-pronged spear that collectively pierced opponents’ cumulative batting averages to less than .200. Left-hander Josh Hader joined Jeffress on the National League’s All-Star team this year before finishing with 12 saves, a 6-1 record and a 2.43 ERA. Right-hander Corey Knebel, an All-Star last year with 39 saves, led Milwaukee with 16 while going 4-3 with a 3.58 ERA. For the Brewers, shutting the game down ultimately means reducing the number of times the bat meets the ball — if not eliminating them altogether. Complementing the three main relievers are veteran Joakim Soria and rookie Corbin Burnes, both right-handers. Soria, 34, served as the closer for the White Sox and led that team with 16 saves before being traded July 26 to Milwaukee, where he now pitches mostly in middle relief. 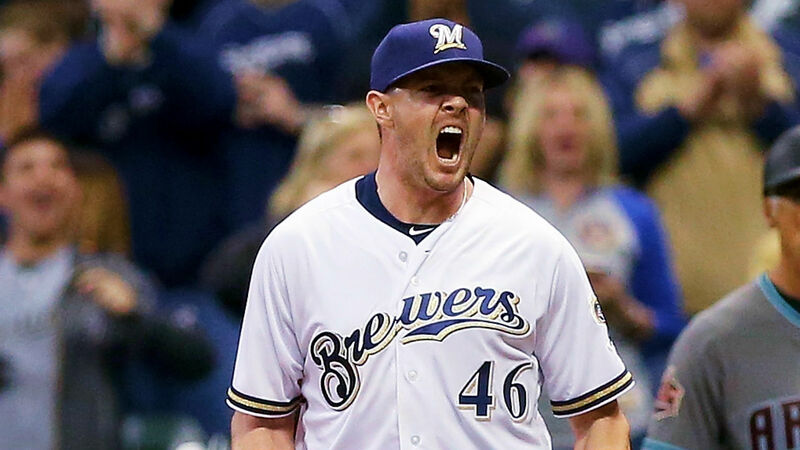 Burnes, another middle reliever, became the first Brewers pitcher to earn a save in his major-league debut since 1980 by pitching two perfect innings July 10 against the Miami Marlins. The 23-year-old Burnes would win all seven of his decisions, compile a 2.61 ERA and limit opponents to a .199 average. Creating favorable matchups while maintaining fluidity means balancing each reliever’s need for rest and recuperation. Rest is so vital role for the Brewers’ relievers that it supersedes the advanced statistical analysis becoming commonplace. “J.J. makes sure that when he gets on the mound, he is 100-percent completely focused,” Stearns said about Jeffress. “There’s almost an anger to him on the mound that he’s able to direct in a constructive manner as a pitcher. Josh is really just a very laid-back guy. When he gets on the mound, he’s able to stay relaxed. He throws harder when he’s relaxed. That’s the way he manages the pressure of a game situation.